MICHAEL D. Higgins made a great acceptance speech when he assumed the role as best of a bad bunch and president-elect of Ireland late last Saturday night. Just hours before the clocks here went back to winter time, Higgins offered hope that the nation can finally move forward from the dark ages of the Celtic Tiger implosion with a most inspiring few words. That’s hardly surprising. He is, as the Gift Grub mimics have long made fun of on the Ian Dempsey radio show in these parts, something of a poet. Michael D. is also a great sports fan, a soccer man if truth be told. He is, and many of you across the Atlantic may not know this, already a president -- the Club president of Galway United, currently in the Premier Division of the Airtricity League but fighting for their lives against Roddy Collins’s Monaghan United this very week. The Garrison Game has always been close to Michael D.’s heart, so I’m sure he will take great pride when he is introduced to the crowd for the home leg of the Euro 2012 playoffs in a fortnight’s time as the president of Ireland. I’m also sure that he won’t mind too much if I don’t turn up for his inauguration at Dublin Castle on Friday, November 11, not that the invite has arrived in the post just yet as it happens. I suspect that I won’t be the only one with other things on my mind on Friday of next week as Michael D. is walking up the red carpet at Aras an Uachtarain and preparing for his inauguration as the ninth president of Ireland. I won’t even be in the country when the Galway United president is taking those small steps in the Phoenix Park. I’ll be in Estonia. So will thousands of other Irish men, women and at least one child of my acquaintance who already has his seat booked for the first leg of the Euro 2012 playoffs between the football teams of Estonia and the Republic of Ireland. Chances are, and he probably won’t admit to it, Michael D. might rather be in Tallinn next week as well and looking after affairs close to his heart as opposed to affairs of state. If it’s any consolation to him, I’ve no doubt we will raise a glass or three or four to the first real soccer man to occupy the Aras. And his words might come back to us as well next week in those nervous hours before Ireland kick-off the biggest match our nation has played since Paris. 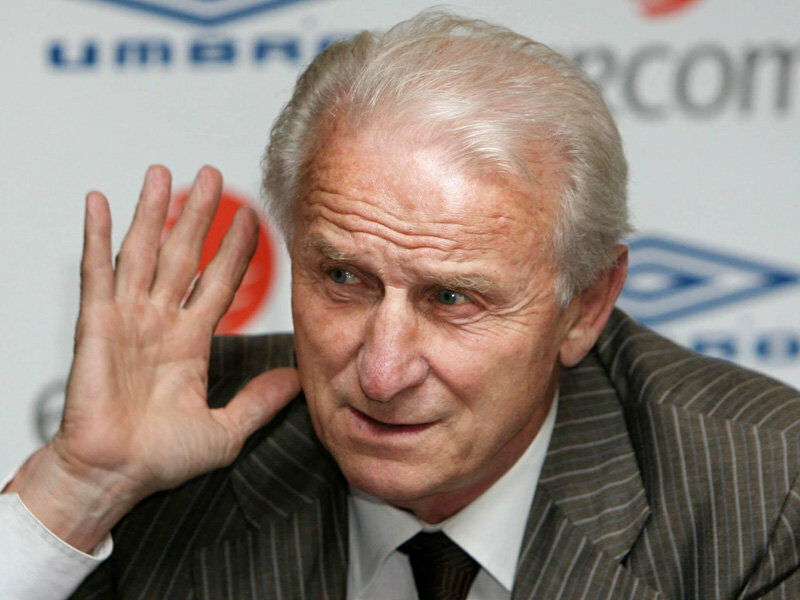 Good and all as Higgins’s speech was last Saturday night, I won’t be pointing Giovanni Trapattoni in its direction if he is looking for some inspirational English -- as opposed to his normal Pidgin English -- to impart to his players pre-match in Estonia. There is, though, a wonderful recent remark from the Michael D. catalogue which could well do the Irish players a favor or two in the cheerleading stakes next week. Driving in the car last Sunday lunchtime, off to my temporary gig as stand-in presenter on LMFM’s Sunday Sports show, I happened across an interview with our new president on RTE Radio’s current affairs show. It was, like the speech the night before, an uplifting and positive message from the 70-year-old, a man two years younger than our football team boss for what its worth. had met along the campaign trail, the people who offered him hope for our beleaguered country’s future after recent economic woes. And then Michael D. made a short statement that can mean so much to so many people -- and in so many contexts. “We have to be the arrow, not the target,” declared the man who won the presidential election for the Labor Party. That statement was only nine words long but it hit the spot, pun intended. The Irish people need to be the arrow now and not the target if we are going to drag ourselves out of this economic mess. And the Irish football team need to be the arrow and not the target when they face Estonia not once but twice in the coming weeks. Michael D. Higgins won’t be in Tallinn for the first leg of the playoffs. He will have other things on his mind that day, but his words should be. So how do you say, “We have to be the arrow, not the target’ in Italian?” Let me know and I’ll tell the Trap! GAA: The Irish team nearly didn’t make it down to the Gold Coast for Friday night’s second test against the Aussies in the Compromise Rules series after the Qantas airline grounded all their planes in the middle of an industrial dispute. The chaos was dramatic as far as the Ireland management and players were concerned, but you really have to wonder if anyone else was all that bothered. Just over 20,000 bothered to turn up in Melbourne last Friday night for the first game and many of them were Irish ex-pats judging by reports. Laois captain Colm Begley, one of the stars on an emphatic Ireland win, is worried about the future of the hybrid competition. He’s right to be anxious. The Aussie public doesn’t care much for it and neither do their players to judge by last weekend’s events on and off the field. SOCCER: Leon Best can’t understand why he was good enough for Ireland when he was playing in the championship, but isn’t good enough now that he’s part of a Newcastle United side flying high in the Premier League. It’s a good question and one that Paddy Kenny, Wes Hoolahan and Steven Reid could also ask the Irish boss Giovanni Trapattoni -- not that he’ll play any attention to it. He’s his own man Trap, and anyone who hasn’t realized that by now is an idiot. HURLING: Tipperary and Kilkenny will start 2012 as red hot favorites to contest the All-Ireland final, but don’t be surprised if new Cork boss Jimmy Barry Murphy makes serious progress with the self styled Rebels. Getting Sean Og O hAilpin back on board was a major step in the right direction as far as hurling’s Red Army is concerned. Appointing Donal Og Cusack as his new captain is a master-stroke on Barry Murphy’s behalf. Cork might just be onto something next year. MLS season in LA on Thursday night, preferably with a disputed winner scored by the Irish captain. Now that would be sweet. RUGBY: The Heineken Cup kicks off next weekend with all four Irish provinces involved for the first time, but don’t bet on the winners coming from Ireland. The 2012 final will be played at Twickenham, and on each of the three occasions it’s been there previously an English side has won it -- which is probably incentive enough for Leinster or Munster to set that record straight. HURLING: Good luck to the new Galway hurling manager Anthony Cunningham. He’s going to need it. Twice an All-Ireland winner as a player, Cunningham has some job on his hand trying to repeat that feat with the current crop of Galway players who didn’t even get to be bridesmaids in 2011, never mind the brides if you know what I mean. GAA: Going back to the Compromise Rules series, news has broken that the Irish team have been banned from tweeting about their tour to Australia by management. Maybe they were worried the tweets would get a bigger audience than the games! MUCH has been made in these parts of Rory McIlroy’s $2 million win in Shanghai on Sunday, but the real Irish golf story of the week took off in Spain as Offaly’s Shane Lowry finished fourth at the Andalucia Masters in Valderrama and clinched a place in the lucrative end of season Race to Dubai. Lowry has had his ups and downs since winning the Irish Open a few years ago as an amateur, but he has stuck to his guns and got his rewards and $200,000 in prize money last Sunday. THE Manchester City boss Roberto Mancini has said that Carlos Tevez will be treated as if he was never away as soon as he apologizes for his outlandish behavior when he refused to play in Munich last month. Surely if Tevez is half the man he wants us to believe he is, he’d have apologized by now. He really shouldn’t need his manager to have to invite an apology.